Immuno-oncology is coming to the forefront of cancer medicine, having already been established in multiple cancers such as melanoma. How do we move forward with the treatment of bladder and kidney cancers? We got a glimpse of what the future may hold at the ASCO 2017 meeting. Several new immunotherapeutic agents and combination therapies have been approved and are showing promising response rates for patients with GU cancers. The combination of immunotherapeutic agents with different mechanisms of action or the combination of immunotherapeutic agents with targeted therapies is going to be the new paradigm that we see in the treatment of genitourinary cancers. ASCO was very exciting in terms of immunotherapy. Specifically, we saw that combination therapy with ipilimumab and nivolumab was very effective in treating patients with brain metastases. This is an exciting new area in patients with metastatic melanoma to the brain. Specifically, since we've had very few therapies that have worked for these patients. Also, we saw from the studies that were presented that the combination therapy of nivolumab and ipilimumab appear to be superior to nivolumab by itself. In addition, we also learned that in patients that have V600E or V600K mutations, that dabrafenib as a combination therapy can also be effective for patients with brain metastases. This truly represents a new shift in the treatment for patients with metastatic melanoma to the brain. Although stereotactic radiation is still key in treating many of these patients, immunotherapy has now become a possibility. ASCO has become an exciting meeting of how to integrate combinations of immune-oncology agents together, or integrated into chemotherapy and radiation. The issues of overlapping regimens, or maintenance immunotherapy after definitive treatment, are being sorted out for this new type of therapy. I expect this crucial information to continue to emerge in future ASCO meetings. Immunotherapy has provided a number of successful stories both in solid and hematologic malignancies in the last 2-3 years. Combination of different checkpoint plus IDO inhibitors clearly increase response rate but likely only apply to the so called “inflamed tumors” or diseases already likely to respond to immunotherapy. 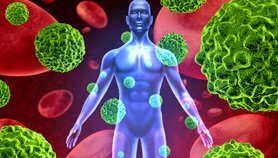 However, most patients with advanced cancer still don’t benefit from immunotherapy. These patients often have “cold tumors” characterized by a paucity of effector T cells in the tumor microenvironment, low neoantigen burden, low mutational load and often an immunosuppressive microenvironment. Some of the tumor types in this group include colorectal cancer, pancreatic cancer and sarcomas. In my view one of the most interesting presentations at ASCO 2017 was abstract 3002 presented by Dr. Tabernero. In this work, a bispecific antibody anti CEA-CD3 was tested as single agent or in combination with atezolizumab (PD-L1) in patients with CEA+ solid tumors. The efficacy analysis was limited to patients with metastatic colorectal cancer (mCRC). Tumor regressions were seen in most patients treated at doses of CEA-TCB >60mg. At this dose level, on target toxicities started to be seen indicating efficacious drug concentrations were achieved. In this subset of MSI-low patients, typically refractory to immunotherapy, disease control rate was 80% and response rate 20%. In addition, abstract 2002 from this same work showed increased T cell trafficking in peripheral blood as well as increased T cell infiltration in on-treatment tumor biopsies. The authors reported that treatment was well tolerated, it is noteworthy to mention that 40% of patients experienced grade 3 toxicities. In the single agent study a patient died due to respiratory failure and 2 patients developed grade 3 hypoxia/dyspnea. It is unclear whether the study team collected cytokine panels at the time of infusion reactions. Awareness of life-threatening toxicities associated with CRS (liver toxicity, neurotoxicity) will be of paramount importance while we continue to develop bispecific T cell engagers. Overall, this work provides proof of concept that combination of a checkpoint inhibitor with bispecfic T cell engagers may modify tumor microenvironment from “cold” to “inflamed” and expand the indications of immunotherapy to other traditionally refractory diseases. ASCO 2017 was another remarkable year for immunotherapy and solid tumors. 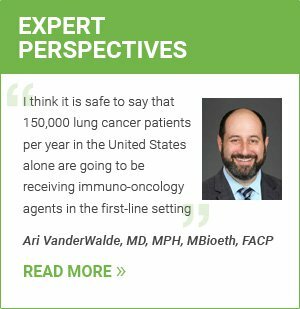 Specifically in treatment of lung cancer patients, diagnostics (PD-L1 and MSI high), treatment (PD-1 replacing chemotherapy, chemotherapy-PD-1 combinations), and locally advanced (PACIFIC trial) have created much excitement and continue to change the landscape of opportunities and treatments for our patients.